This is the first graphic work I’ve done in a long time – for my 1st Lisbon show also in a long time! 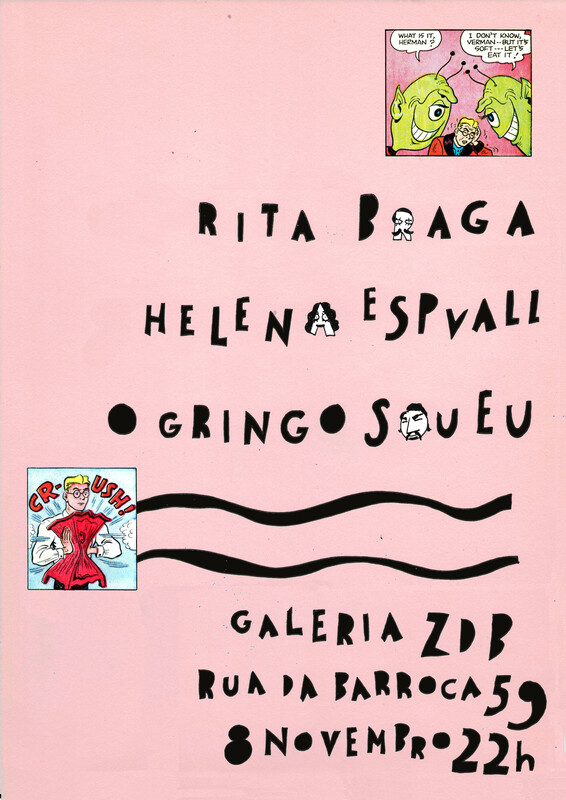 On the 8/11 at Galeria ZDB, also playing Helena Espvall and Frankão “O Gringo Sou Eu”. 3 different sets but we’ll be collaborating in some of the songs. More info about this event on zdb website. This entry was posted on October 22, 2013 by Rita Braga. It was filed under Uncategorized .